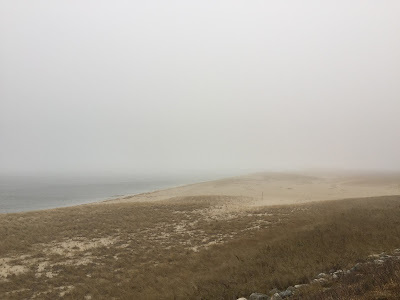 The Missus and I were able to make it out to Cape Cod over the weekend and had a great time (despite the harrowing drive through a snow storm to get there). 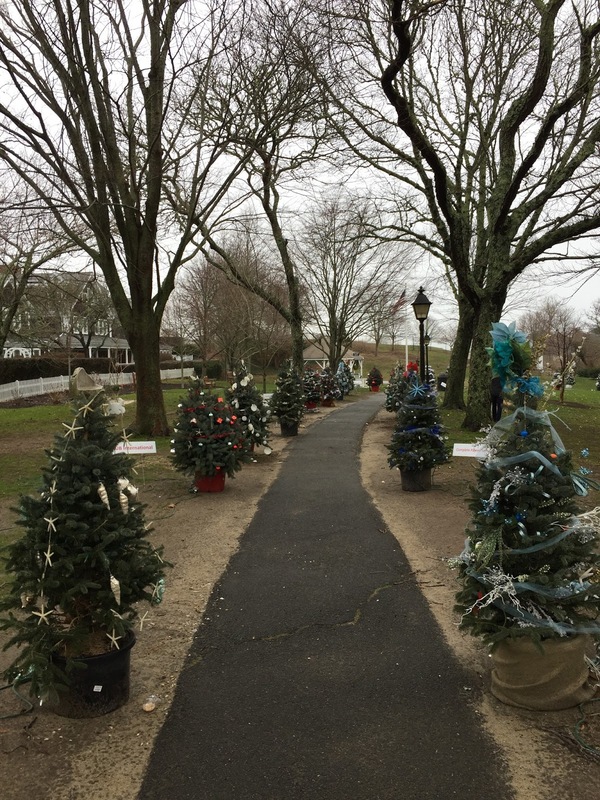 We always enjoy the Cape, and it's especially beautiful at Christmas. While we were out there, I'd planned on visiting the Nauset Model Railroad Club. 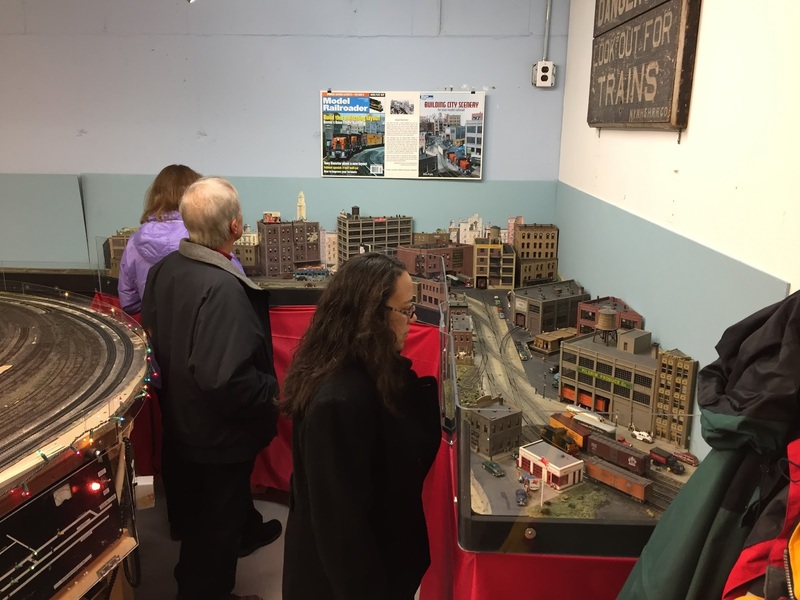 They were having an open house and there's just something perfect about model trains during the holidays. 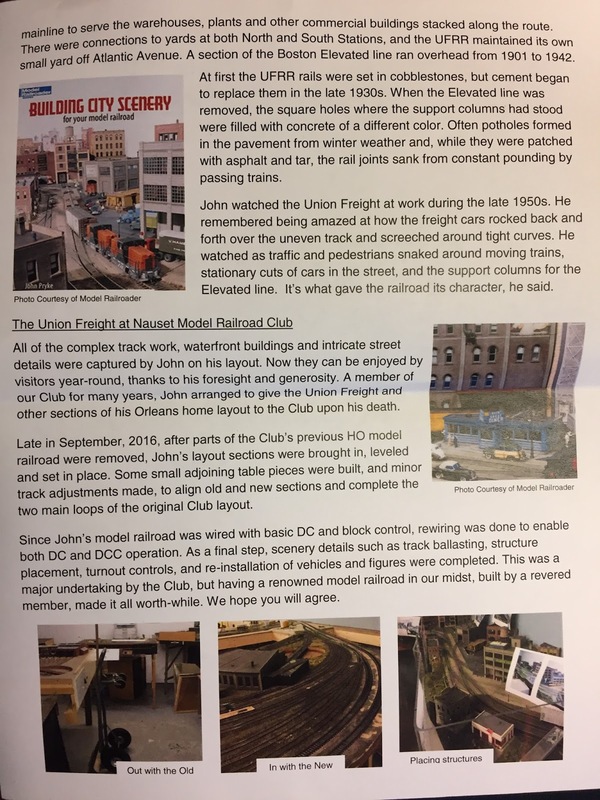 But what drew me there particularly this time was that John Pryke's Union Freight RR had made its move there and the club had incorporated it into their layout. 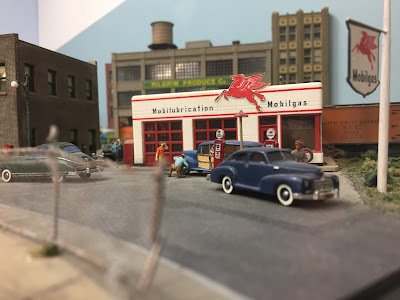 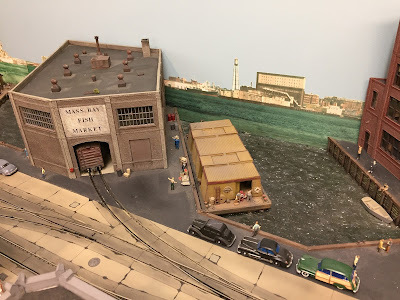 For those of you unfamiliar with the Union Freight, the prototype ran along the Boston waterfront and master modeler John Pryke made it the subject of one of his layouts - and it became famous through the pages of Model Railroader and, later, a book on building city scenery. 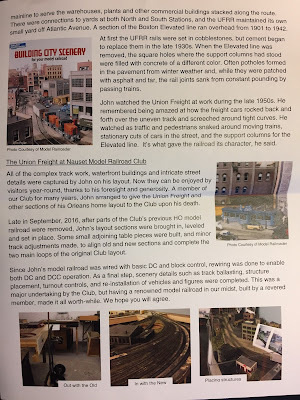 Unfortunately, John passed away 3 years ago this month (please click here). 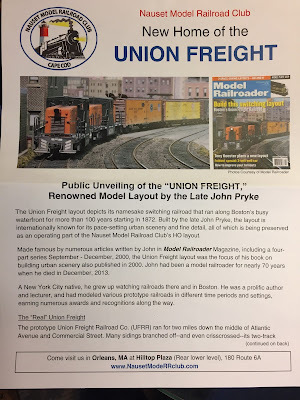 I'd heard that his Union Freight layout would be relocated and preserved, and I'm thrilled it made its way to the Nauset club. 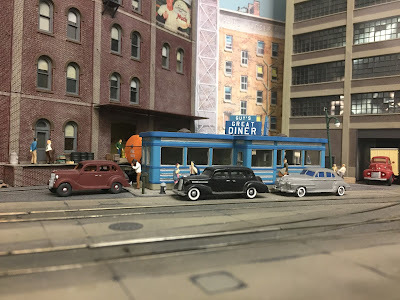 There it holds a place of honor just as you walk in and can be seen and enjoyed by many more folks for many years to come. 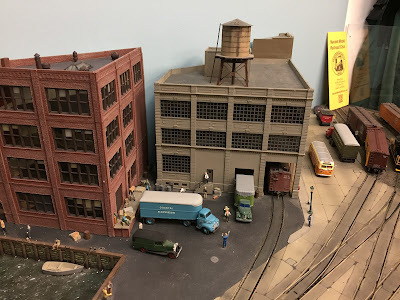 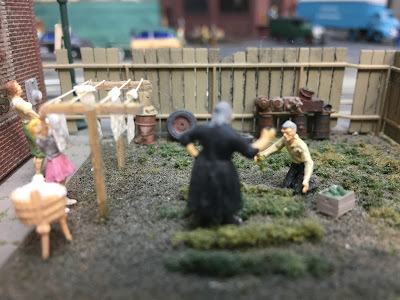 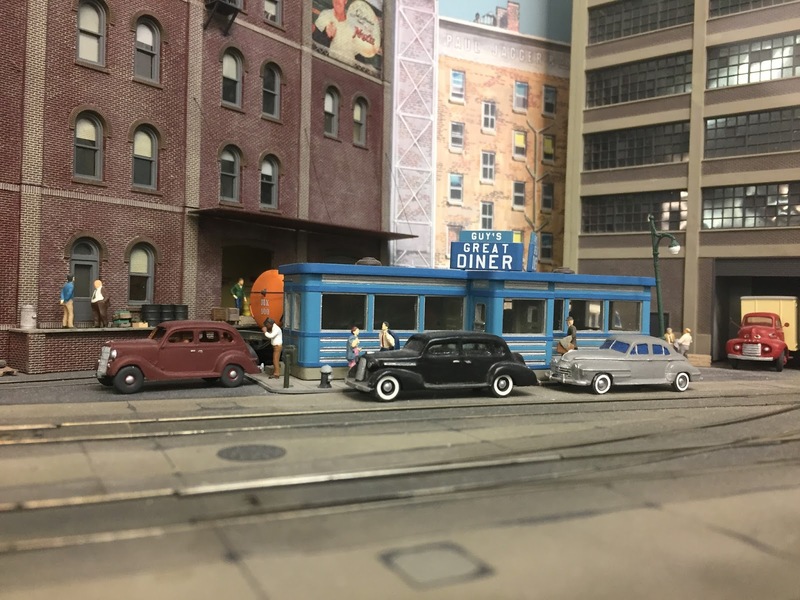 It's a fitting tribute to the memory of a great man and a talented model railroader. 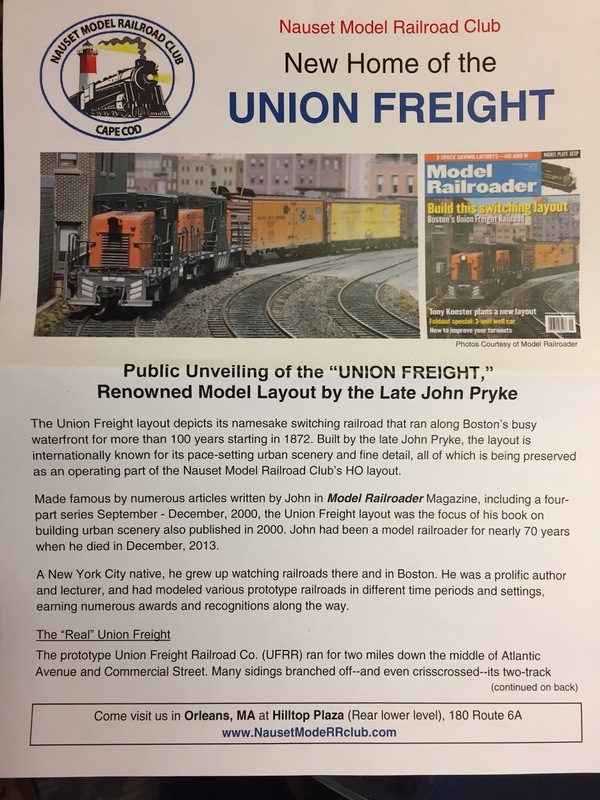 Thanks Chris for noting where John Pryke's Union layout can now be found. 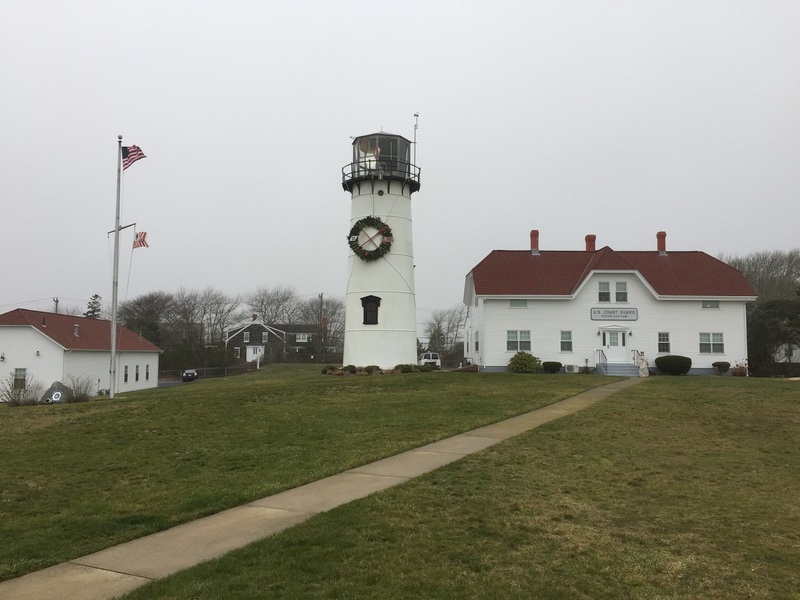 The Nauset Club is now officially on the list.Best for the holidays! 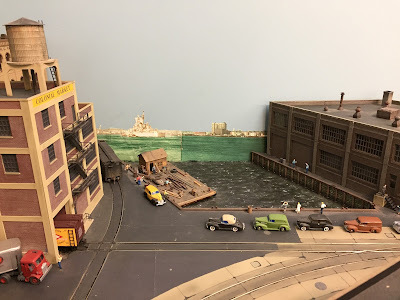 Yes, thank you, Chris....John's layout plan was the basis of my first version of my Lehigh Valley Harbor Terminal layout when I still lived at home. 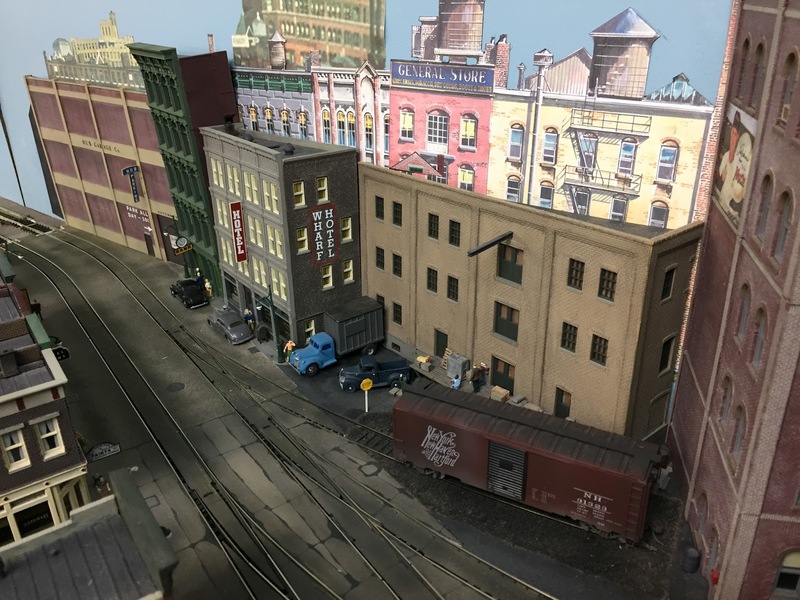 Years later, his Kalmbach book helped serve as the template of how I began emulating (Jersey City, NJ) city scenery on the LVHTRy Ver. 2.1. Looks like a road trip is in store to visit the layout that is/was the genesis of what I'm modeling. Thanks for confirming that this one is safe! John's layout from his Kalmbach books has long been a source of inspiration.